Immediately after the UK’s EU referendum, the WLGA along with the three other UK local government associations called for the voice of local government to be heard during the exit negotiations. The UK local government associations can provide the UK Government with essential evidence on the local impact of Brexit. 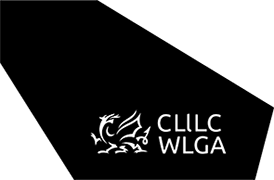 The WLGA has already published two Brexit surveys to Welsh local authorities and will publish future calls for evidence, in order to provide the UK Government with the evidence base required for its Brexit planning. The WLGA is simultaneously working to influence the Welsh Government’s Brexit planning. We coordinated an all- Wales response[LS1] to their consultation on Regional Investment in Wales after Brexit (March 2018). WLGA is represented on the First Minister’s EU Advisory Group and the Welsh Government’s environment, agriculture & rural affairs working groups. WLGA has also responded to a number of National Assembly for Wales inquiries relating to Brexit, since the referendum result. The WLGA also has an internal Brexit Group, which brings together experts from each of the WLGA’s policy teams on the issues of Brexit. The WLGA has a crucial role to play in keeping Welsh Local Authorities informed on how the Brexit negotiations are progressing and how the WLGA is representing them in these negotiations. We publish a monthly Brexit update, which can be received by any elected member or officers from a Welsh local authority. In addition to this, regular Brexit briefings are prepared for local authority leaders (often to coincide with the WLGA’s Executive Board meetings but also at other opportunities). The WLGA takes opportunities to brief other Elected Members and officers by attending key regional or network meetings.